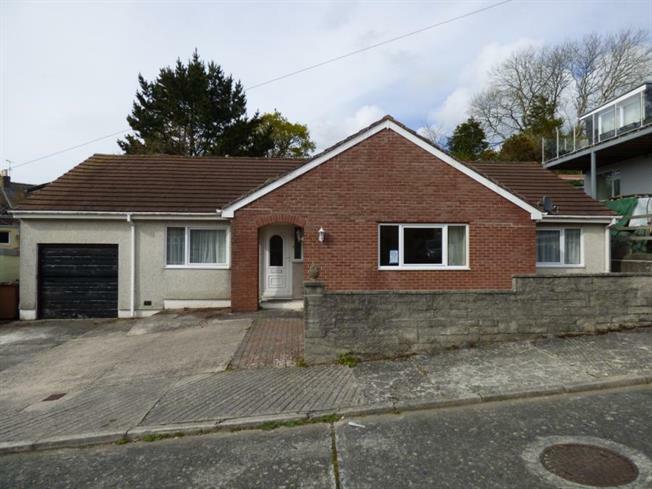 4 Bedroom Detached Bungalow For Sale in Plymouth for £220,000. A modern detached bungalow which requires some refurbishment to realise its full potential. Situated in an extremely popular and sought after location in Saltash Passage with wonderful riverside walks nearby. Benefitting from gas central heating and double glazing, the spacious accommodation includes a generous size living room, kitchen breakfast, dining room/bedroom four, utility room, four piece bathroom and three further bedrooms with the master having an en-suite shower room. Externally the bungalow boasts ample off road parking, a single garage and large rear garden from which wonderful views over the River Tamar can be enjoyed.